Below you can view all the homes for sale in the Village At Genesee subdivision located in Golden Colorado. 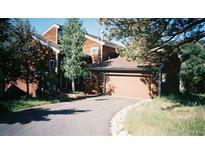 Listings in Village At Genesee are updated daily from data we receive from the Denver multiple listing service. To learn more about any of these homes or to receive custom notifications when a new property is listed for sale in Village At Genesee, give us a call at 720-580-6937. 5 minutes to I-70, 25 minutes to downtown Denver, 15 to Evergreen! MLS#5092743. ROCKY MOUNTAIN REAL ESTATE INC. This home offers everything the new buyer can just move in. MLS#1902627. RE/MAX Professionals. Home is 24327 Deer Valley Rd. MLS#7851996. LIV Sotheby's International Realty. This private community offers maintenance free exterior, professional landscaping, outdoor pool, spa, clubhouse, gym, playground, tennis courts and private fishing pond. Move in ready! MLS#5901417. Berkshire Hathaway HomeServices Elevated Living RE. This rare premium Cul-de-sac location is located within a community also featuring a swimming pool, Clubhouse, Basketball Courts, Tennis courts, Gym/Workout Area and much more for the active Colorado family! MLS#4845033. Keller Williams Integrity Real Estate LLC.